Whether you're a resident, a visiting guest or a golf club member, you'll enjoy 18-holes of championship golf on one of the most beautiful golf courses in the Pacific Northwest. The golf course at The Resort At Port Ludlow was designed by Robert Muir Graves to provide a challenging, yet rewarding golf experience while preserving the spectacular natural surroundings. 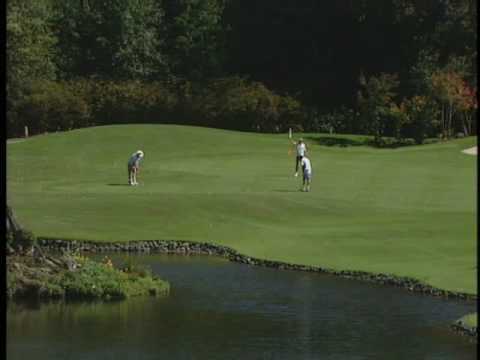 At The Resort At Port Ludlow Golf Club you can play 18-holes on our championship golf course. Both the Tide and Timber golf courses are artfully sculpted out of dense forest so no two holes play alike. Come challenge yourself at The Official Best Golf Resort in Washington 2011!